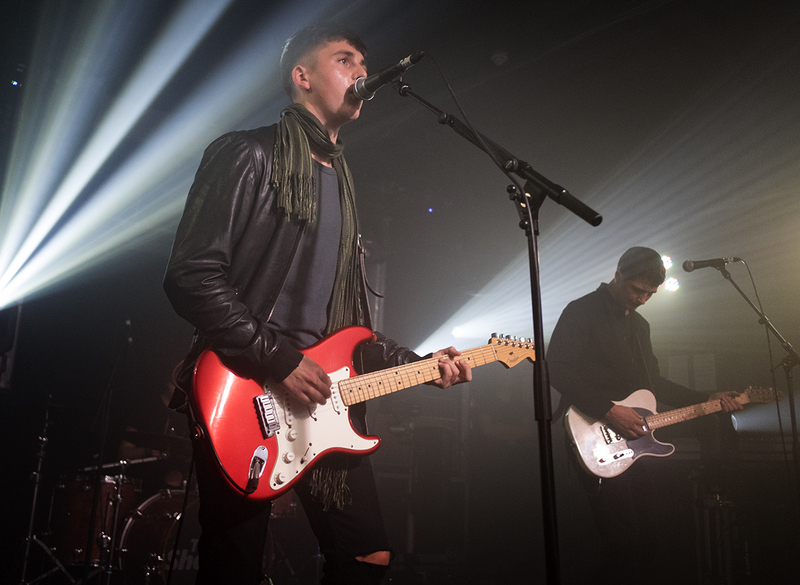 Sheffield rockers, The Sherlocks, are heading back Liverpool this October. Getintothis’ Amos Wynn has all the news on the headline show at the O2 Academy. It has been over a year since The Sherlocks released their debut album, Live For The Moment, and have since followed it up with a flourish of live dates, heading from Yorkshire to Japan with their catalogue of indie sing-along songs. The past 12 months have seen them support Liam Gallagher on his tour as well as hitting the European scene with a headline tour of their own. Something that has helped the band get to the point they are now at is the sheer determination to continually tour and play their music to ever-growing crowds. October’s tour features dates in Leeds, Dublin and Cardiff, as well as their first Liverpool gig since February 2017. Even 18 months ago, pre-debut album, the band were selling out venues and creating the kind of atmospheres live that all bands dream of. After what the band describe as “seven years of hard graft”, to get the opportunity to release Live For The Moment has all been worthwhile, with the album featuring some excellent indie tracks. Support acts come in the form of Welsh rockers Trampolene and Liverpool’s own Paris Youth Foundation. Trampolene, led by poetic genius Jack Jones, played in Liverpool back in April. Their inclusive EBGB’S gig went down a treat, with an array of songs and poems from their debut album From Swansea To Hornsey. On Liverpool, front man Jones have fond memories of the city, and reminisces about some ‘great’ nights playing in the Magnet. The other support act are new boys on the block, Paris Youth Foundation. This five-piece have already played Liverpool numerous times this year, including an appearance on the main stage at Sound City and a special gig at the Cavern, for BBC Introducing. The band have had a number of singles out already, with each one being catchy and melodic. Listening them live is even better as the songs take on a whole new life and have a whole new dimension. The whole night is lined up to be an excellent night of music, with it no doubt being a sellout and as with all Sherlock gigs, being a top atmosphere. With the boys from Sheffield having everything in place to go on to build on their current successes, the Liverpool gig will show why.